STEAM aims to highlight the relationship between artists’ personal practice and facilitation work. STEAM aims to promote and raise awareness of the nature of facilitation work and its value as an artistic activity. STEAM aims to promote inclusive approaches to engage people with multiple needs, learning disabilities and/or mental health issues in visual art processes. After the Colebrook Chronicles in 2008, Nickova Behling collaborated with artist and support worker Sue Sargeant for the projects ‘Exploration’ in 2009 and ‘Phase 2 of Exploration’ Sep 2011 – Oct 2012. 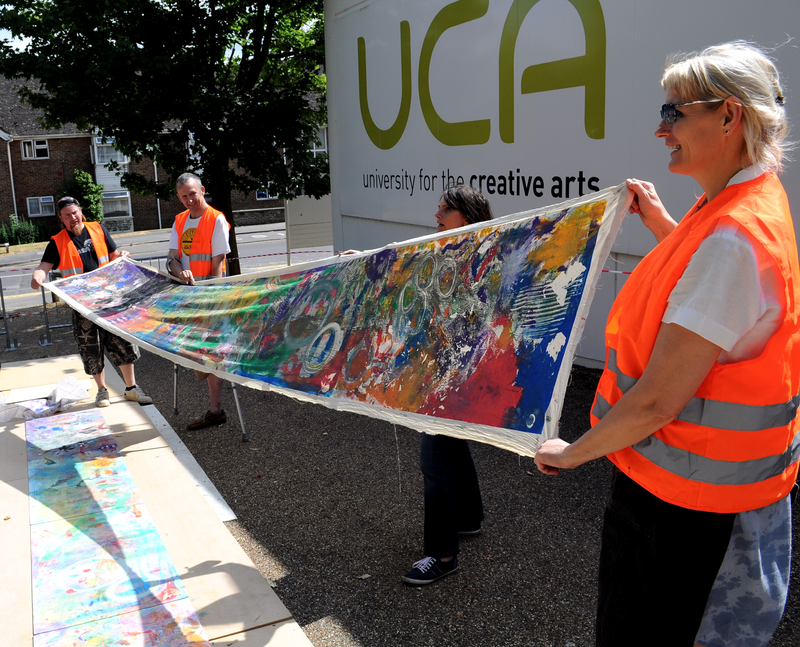 Both projects were largely funded through the Arts Council Lottery Fund. STEAM was developed following the experience of Phase 2 of Exploration, with the intention to create new working relationship with artists facilitating creative expression for people with learning disabilities or mental health issues and create public awareness and debate of this kind of artists work. Nickova Behling as directing manager of STEAM, was joined by visual artist Mike Corlett and both artist took the lead to coordinate and manage the project, working in close relationship with the gallery staff (Lee Broughall and Christine Kapteijn, James Hockey & Foyer Galleries, UCA Farnham (UCA Farnham Gallery)) and the two invited artists: Sue Sargeaunt and Jono Retallick. 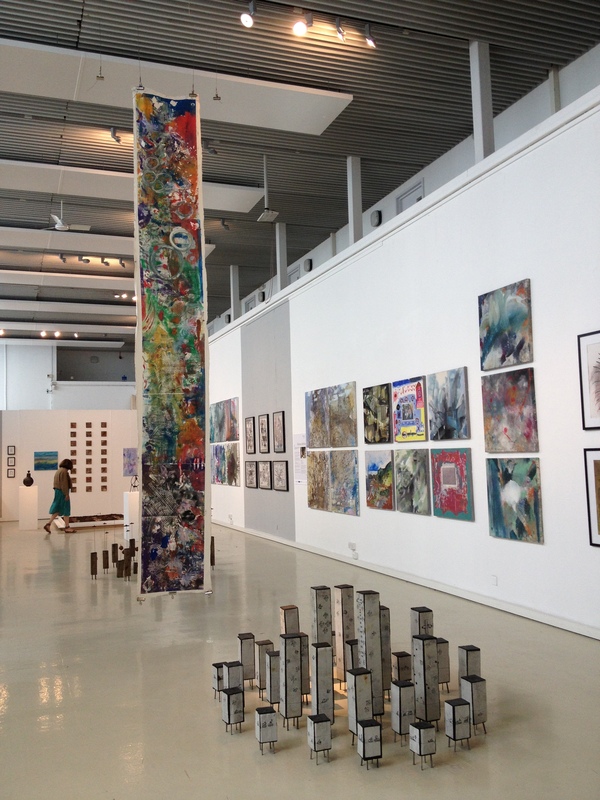 STEAM installed a public exhibition at the Galleries of the University of Creative Arts. More than 120 work of art was exhibited by both, the artists themselves and those who have participated in projects artists have facilitated. The private view, where 250 attendees – far more than any exhibition opening at the galleries had attracted before – joined an inclusive opening celebration including refreshments and live music. The attendees at the private view included the exhibiting artists, the exhibiting participants, their family, friends and carers, the gallery staff, volunteers and local residents. 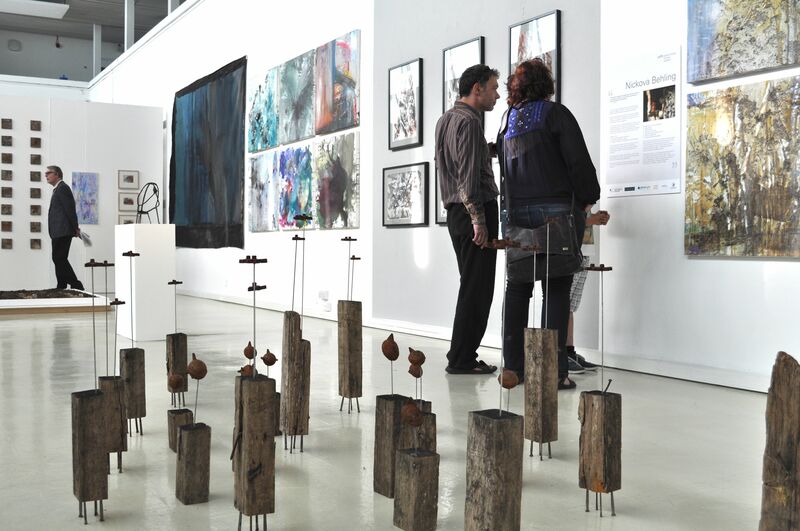 The work exhibited, served to demonstrate the possible outcomes of facilitation and collaboration and celebrates the relationship and mutual influence on creative practice. This was also explained and discussed in a public evening seminar, attended by workshop participants and artists who were interested in working inclusively in the community.